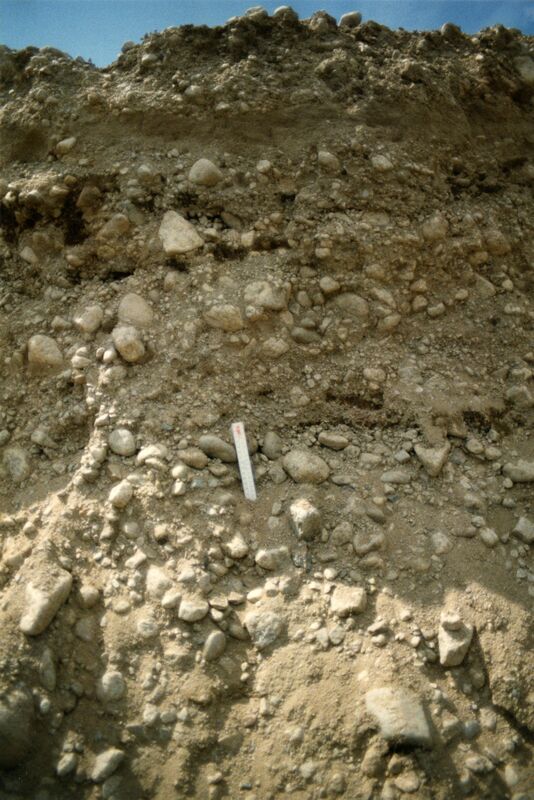 Photograph depicts close up view of gravel pit, ruler displayed for scale. Photograph speculated to have been taken at the plant or near the Cassiar airstrip. Stamped annotation on recto of photograph: "JUN. 1987". Item is part of the Cassiar Asbestos Corporation Ltd. fonds. Image is one of three, see also items 2000.1.1.3.18.11 and 2000.1.1.3.18.12.